There are many ways to market yourself, your products, or your opportunity. Video marketing is becoming very popular. It might even be said that Online Video Marketing is a trend you can’t afford to miss! We want to help you take the guess-work out of the process and provide the best video marketing tips. According to a recent article in Forbes Magazine (Sept 22, 2017), “Over 500 million (that’s half a BILLION) people are watching video on Facebook every day.” Did you know that currently 70% of online content consumed is video? And that share is increasing fast. The same article in Forbes suggests it will reach 80% within 4 years! How can we take online video marketing to the next level? We suggest networking with those who are already doing great things. 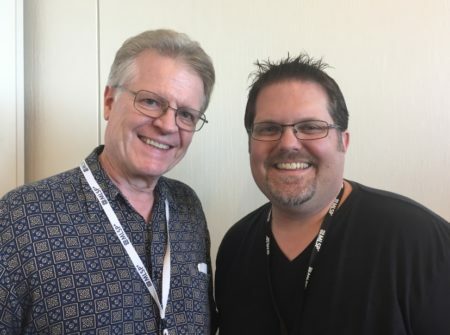 One of our mentors in the industry, Mark Harbert (pictured with David), is especially known for his success with video marketing. We have learned a lot from him and were thrilled to visit with him face-to-face at a recent event. His insights have excited us and ignited our own passion for video marketing. Many marketers and business owners are hesitant to get started with video. We were right there with them. We were only shooting ourselves in the foot. Why Should You Use Online Video Marketing? YouTube is the #2 search engine in the world. Yes, it comes right after Google. On Facebook, videos get 4 times the engagement of text alone, and more than 2 times that of still images and photos. Video helps seal the deal. 90% of computer users say they watch a video before purchasing. 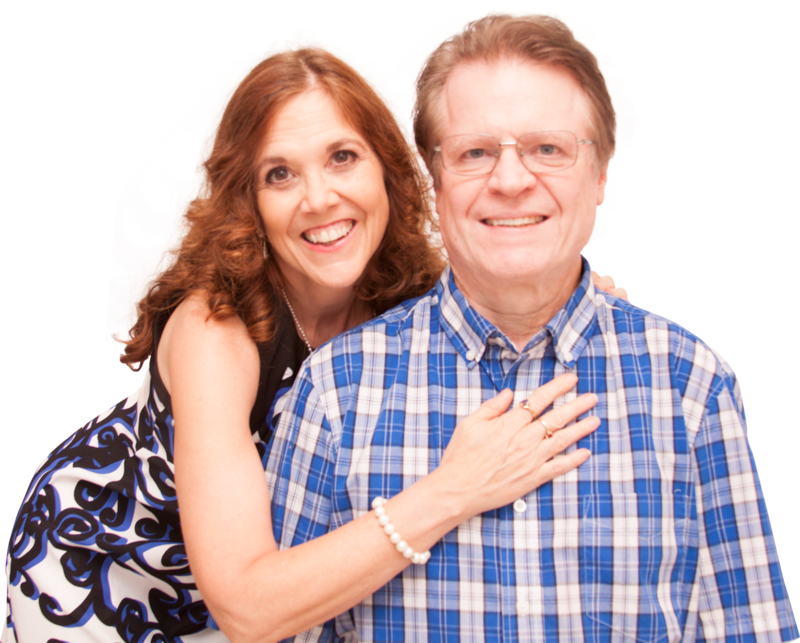 Home business is based on relationships, and video bridges the gap. It helps build that relationship. You don’t want to get left behind. After all, if you don’t use video, your competition surely will. What Is the Best Video Marketing Formula? Mark Harbert offers this simple four part Video Creation Formula: Introduction, Question, Content, Call to Action (CTA). Let’s take a quick look at each of the four parts of the formula. Introduction. To begin, you simply introduce yourself and your website. People often use this as a way to welcome and thank viewers to the video. Be short and concise. People come to your video for content, but make sure they know who you are because the messenger is important, too. Content. This is the meat and potatoes of your video. This is what the people have come to hear. Please do not be a fluffy video marketer. Too many times the title or lead in to a video is so enticing, but when you get to the content it is flat, full of hype, and simply not helpful at all. Your content MUST be valuable! To have value, your viewers need to have an A-HA moment or have some nuggets to take away and begin implementing. Share something that has really helped you. Remember views are not leads or sales. But if your views are by people who have found value from your content, they are more likely to convert into leads and/or sales. Call to Action (or CTA). You want to end your video with a clear, direct call to action. Simply tell your viewers what the next step is. Typically you will direct them to a capture page. This is a page where you’ll collect information such as email address and phone number. Or, maybe you’ll have them leave a comment that will trigger further action. On Facebook, the most shared videos are 30-90 seconds!! For Facebook Live, 10-15 minutes is ideal. However, a simpler answer might be … as long as it takes to present the content you are sharing. 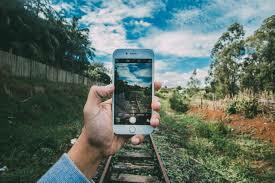 Which Is the Better Format to Use in Online Video Marketing: Portrait or Landscape? Either should be fine. Yes, I am well aware that not long ago “Portrait” was considered a big “No No.” This is no longer the case. Smartphone users hold their phone vertically 94% of the time. Millennials are two times more likely to watch video on their phones. Vertical ads get nine times more full views than landscape. 7 Billion video clips are watched daily on Snapchat. Vertical viewing now accounts for 29% of video view time. So, use the format that works best for the content you are sharing and the platform on which you are sharing. Is It Better to Share Video on Your Facebook Page or Profile? The best rule of thumb for sharing videos on Facebook is to do it … a lot! Whether you share on your profile or your business page is up to you. The important thing is to build and engage your audience. If you have a lot of followers on your business page, that can be a good option. You can always post on one first and then share to the other. Facebook will show “Lives” to more people from your profile. 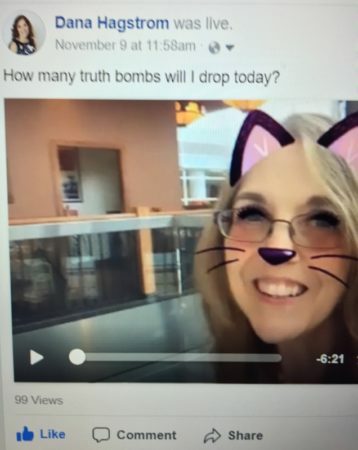 If you are sharing a pre-recorded video, it is probably a toss-up. Remember Facebook is rewarding Live Video, and your maximum number of daily posts should be 3 (or occasionally 4). Sometimes it's even fun to test and see what works best. Find out for yourself where you are getting the most engagement. What Are the Best Tools for Video Marketing Made Easy? Here are some great, low-cost tools to consider, especially if you’re just starting out. JustBroadcaster (Mac) works great for You Tube, Facebook, and Periscope for both recording and live-streaming. OpenBroadcastingSoftware or OBS (PC) does the same as JustBroadcaster for PC users. VSDC (PC) is a great, free video editing program … and the one we are currently using. Use a simple tool like Canva or Powerpoint to create slides for transitions. This simple tweak will yield a significant increase in engagement. Bonus Tip: Another simple way to increase engagement is to download your live video from Facebook, then stream it “Live” on YouTube or Periscope. What is Stopping You from Doing Online Video Marketing? The number one obstacle to doing video is FEAR. Why do home business owners fear video? In other words, their inner critic is louder than their desire for results. Remember, people like what is raw, real, and authentic. Some of the most popular videos … often those that go viral … are odd, unrehearsed and honest. You needn’t try to be slick and polished. If you try to do so, you risk coming off as “fake.” So, be yourself. You are the only one that can do that. It’s Your Time to Get Started with Online Video Marketing! Here you have insights to the best video marketing practices. There are many great perks to online video marketing. We've explored video marketing made easy. But don't limit yourself! Keep on learning. To dig deeper into video marketing, see our article 7 Proven Strategies to Get Views on YouTube and Get YouTube Subscribers Hungry for More! 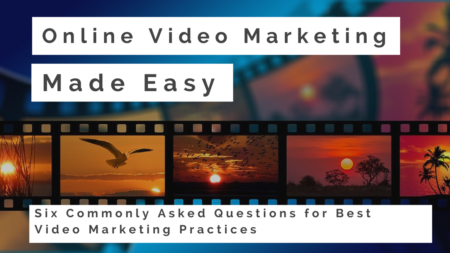 You’ve got some great questions answered about the best video marketing strategies. Here are some final tips we’d like to share with you. Your first few videos will not be that fantastic. Accept that reality and get started! Click the button below to receive your free video training from video marketing expert, Mark Harbert. We look forward to seeing your smiling face making your first video! Happy recording! P.S. – If your upline hasn’t given you a clear attraction marketing blueprint for generating leads online and successfully recruiting people on social media, this will help you – Click Here For Instant Access! P.P.S. – If you enjoyed this post, please remember to like, share, and comment below! We love to hear your comments and questions. Thanks, Tony! We appreciate your insight and encouragement! Want to Rank Your YouTube on the First Page? Clear Steps to Ranking Your Videos on the First Page of YouTube Search Results!